Permeability tests, variable head, constant head, packer tests, pumping tests. To a Range of British and European Standards. 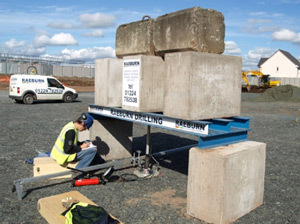 Raeburn Drilling & Geotechnical (Northern) Ltd has a Certificate of Registration, that allows it to keep and use three Nuclear Density Gauges (NDG) and is UKAS accredited to carry out the testing. 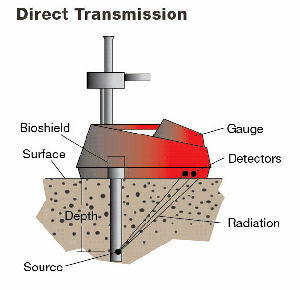 Nuclear density gauges are used for the rapid determination of the in-situ density and moisture content of soils and compacted materials used in the construction industry. We also carry out Sand Replacement Testing (SRT) which can be undertaken using both the small (115mm) and large (215mm) equipment in accordance with BS1377:Part 9:1990. Used alongside moisture content/dry density relationship testing which can be undertaken in our laboratories these test can be used to certify the quality of compaction of imported materials. Our New Equipment brings the standard plate load test up to date at last, with benefits for both users and clients in terms of rapid testing, instant results and accurate measurements. We have battery powered, wireless, auto logging test systems complete with reporting software. 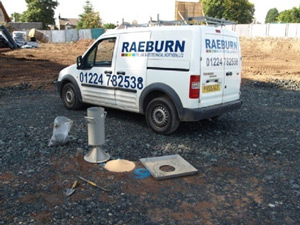 Raeburn Drilling & Geotechnical (Northern) Ltd site technicians are equipped with a wide range of site monitoring equipment including Gas analysers for the measurement of landfill gases and PID Monitors. We use a wide range of water sampling equipment including a full suite of bailers, submersible "whale" pumps, Waterra power packs and tubing, suitable for purging and sampling large or small volumes of water from wells. 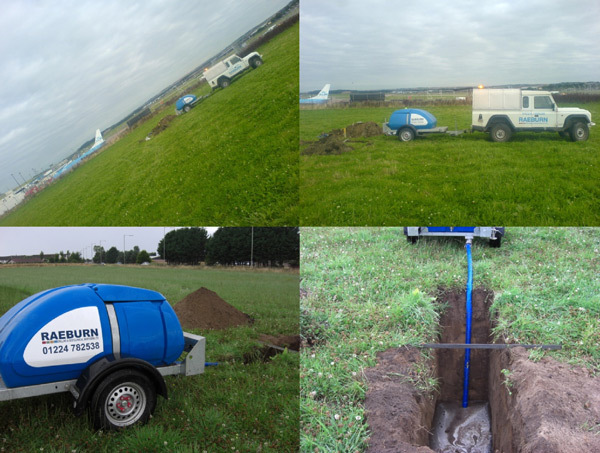 Raeburn Drilling & Geotechnical (Northern) Ltd can supply a wide range of on-site analytical testing for water including but not limited to pH, conductivity, redox potential, temperature dissolved oxygen 'total dissolved solids'. 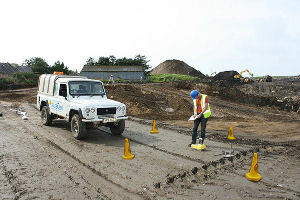 We carry out a wide range of Soakaway and Percolation Testing. 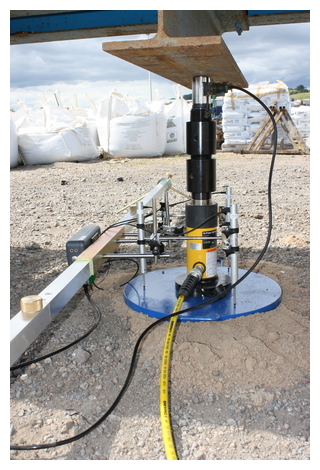 As well as Various kinds of "Head" tests on Boreholes we have Installed. We also have a stock of Leveloggers and and associated Software providing continuous water level and temperature measurement in Boreholes, Rivers and other marine environments.